The time has finally come for you to escape into the country that you have been dreaming of! If you are desiring a bit more elbow room and want to experience a bit of the country yet still be close to town, you need to stop right now and get on out to see this exceptional ranch home! Conveniently located just off of Honea-Egypt road in Crown Oaks awaits a lovely home awaiting its new owner. Love to entertain? Here is your perfect set-up for having your guests enjoy an inside event or have everyone spill out into the fantastic outside retreat! An absolutely gorgeous setting awaits you as you step into the backyard! Watch the sun set from your private lake gazebo or slip into the pool to beat the Texas heat! In the winter you can just sit back and take it all in while enjoying a cozy outside fire. 3880 square feet of livable space along with a detached garage and breezeway creates a ranch home perfect for any family! So much room outside that the possibilites are endless! Have you always wanted that fresh vegetable or herb garden? Look no further as you have lots of room for many hobbies. Boasting four bedrooms each en-suite with private baths provides the perfect family home or guest suite situation. Plenty of room for a growing family, extended family or the empty nest family. Whatever your needs are, this home has a lot of options! Only a few minutes from The Woodlands you can enjoy the restaurants and shopping and still return to your country escape! Convenient routes to I-45 or to SH 249 can get you where you need to be. Many residents in Crown Oaks commute to Conroe, The Woodlands, Houston, Tomball, Magnolia or Montgomery for work. The price? Glad you asked! Offered at $565,000 which is just north of $145 a square foot! Excellent investment in our ever-growing area! Ready to come out and see this property? 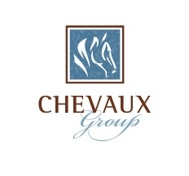 Give CHEVAUX Group a call today! We have been in Montgomery County for over 30 years and know the area inside and out! We are your go-to real estate professionals!